Imagine being able to cook just one meal for dinner each night that will suit the baby, the toddler and the husband (with a little tweak). 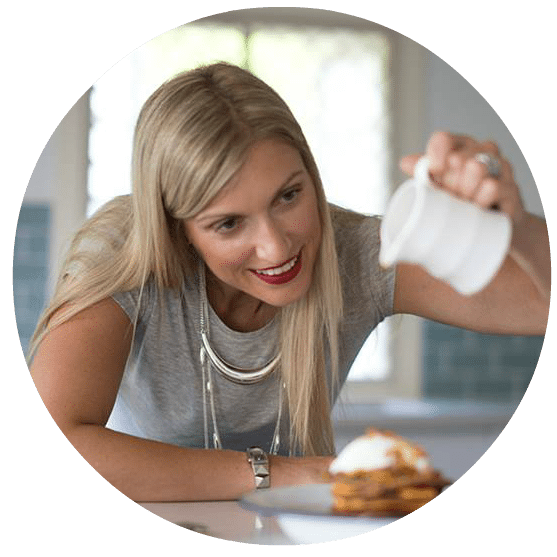 Imagine knowing that it has the tick of approval from a qualified nutritionist and is tried and tested by actual mums with kids (so know you it will be quick & easy!). Yes you can feed your little rascals healthy wholefoods, even if you hate to admit it but you don’t know what chia seeds are. have everything you need in one beautiful eBook that you can access from your phone, iPad (if the toddler will let you) or computer? A fantastic foodie bible for you parents out there looking for healthy, nourishing recipes. This book is not only written by a professional, it’s written by mums living and breathing the content of this book. Nutritionist Shannon Stokes and I, having had two kids, each, of our own, noticed a trend, not only in Shannon’s clinic but amongst our friends with littlies too. Everyone was overwhelmed and confused by all the information out there on what they should be feeding their growing little humans. Like every aspect of parenting, everyone has an opinion – weaning, starting solids and feeding kids seems to bring out some interesting ones. So we collaborated and combined our knowledge to create an easy, one-stop eBook that covers everything you need to know to feed your kids from 6 months. Heck, why stop at just crawlers? We just kept adding and adding recipes and tips and tricks and ended up with a massive bible of wholefood-rich recipes and ideas to feed the whole family. Imagine how you will feel, knowing you just have to open Crawler Cuisine to Toddler Tucker to find a nutritious, nut-free recipe to take to the kindy morning tea tomorrow that the kids will actually eat.